March of the Penguins. And March they did indeed, to their deathbeds of moulted feathers blowing away in the wind with their last breath. Shaggy coats of half-moulted feathers, worn over emaciated and hunched bodies that tell the tale of a lean breeding season. Now nature readdresses the balance, correcting the books and it is those near shore feeders and day trip foragers, the Gentoo penguins that bear the brunt. When environmental conditions change in South Georgia or indeed anywhere throughout the Southern Ocean and you’re caught out, then the price can be a hefty one. Don’t worry I’m pretty sure there will be enough penguins to go around next spring. A year of poor breeding success and adult mortality such as this one though slightly upsetting need not be the beginning of the end. Scientific efforts both here and worldwide are more concerned with trends over longer periods of time. Single years are snapshots that only tell a thousand words. Put all those shots together and the video starts to give us an insight into plot development. This breeding season just past seems to have been affected by ocean currents, those global conveyor belts of heat (or cold) and food. Weaker northward flow from Antarctica has left food-poor warmer water around the island. Any animals that feed close to shore struggle as a consequence, both in feeding their young and in building up enough condition and food reserves to see themselves through moulting fasts. While we’re on the topic of science, work kicked off this month with Jonathan (Higher Predator Scientist) and Richard (Electrician) being dropped off by boat to the Greene Peninsula where they camped overnight and continued the monthly census on the resident giant petrels. The idea behind the work is to monitor success from nest building through hatching and chick development until fledging. At this point the northern giant petrels have fledged with a high overall success rate. The southern giant petrel species breeds slightly later, and so a final census will be undertaken at the beginning of April. It should be noted that these birds are scavengers, and thus it should come as no surprise to find their populations are doing well this year. On the 5th the final fur seal pup weighing session took place in Maiviken. The weighing team consisted of Jonathan, Richard, Luke (Fishery scientist that’s me by the way), Shane Blackley (construction team from the Falkland Islands) and Thies and Kiki (of the visiting yacht Wanderer III). We were greatly out numbered by the home side, Maiviken Rovers, lining out as pups 1–100 and showing great dexterity on four flippers across slippery seaside rocks. However, when our attentions turned to the tussac grass the advantage swung our way, as we literally caught them napping. The day finished well with no blood drawn from the weighing team and only minimum ruffling of dignity of the home side. Pup weights were lower than previous years (comparisons made with data from the Bird Island long term monitoring project) indicative that the shortfall in food supply has affected their populations also. On the 12th a report came from the cruise ship Polar Pioneer that high numbers of dead macaroni penguin chicks were floating in the water around the breeding colony at Hercules Bay. Reports such as these are always a cause for concern for South Georgia government and BAS, especially after avian cholera killed hundreds of chinstrap penguins in their Cooper Bay colony in 2004. A reconnaissance party was sent to the macaroni penguin colony at Rookery Bay. Observations by Jonathan and Richard (who are clearly hogging the diary at this stage) allayed fears, as it was thought that mortalities were entirely attributable to the naturally stressful time for the young birds, namely their first attempts to go to sea to forage. Fishery research continued in the laboratory, with the contents of mackerel icefish stomachs being investigated as part of the ongoing study into their diet. 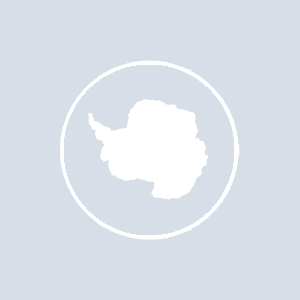 Preliminary findings point to a lack of Antarctic krill in the diet during January and February, which ties in with mortalities of the penguins previously mentioned. Piece by piece the jigsaw comes together and our understanding of the ecosystem grows. On a more cheery note, South Georgia pipit sightings have continued unchecked. Hypotheses as to why the sudden increase in sightings have almost been as numerous as the sightings themselves. If this writer was a credible source one might believe the pipits were feeding off the carcasses of the unfortunate penguins. George (Boating Officer) who claims most of the sightings has been repeatedly cross-examined and indeed accused of not knowing the difference between the merry little birds and the very rat population that threatens their survival. At time of press he continues to rebuff these accusations maintaining that the pipits are a different shade of brown. March held some notable sporting events, some gaining historic significance. I am of course referring to the austral autumn fall of George and I at the table tennis table to the female pairing of Paula and Angy (Boating Officer and Doctor respectively). A bitter pill to swallow and certainly the Sunday brunch fry up didn’t taste quite so good afterwards. I for one have not touched the game since, still reliving those agonising moments when my whole world turned upside down (this could explain why my final attempt to salvage the game dramatically missed the table by some 20 feet and was heading in the wrong direction). Revenge is best served on fine china with silver service with a butler ready at your side to scrape away any crumbs. Alternatively, it may be played out upon a rocky and boggy football pitch covered with burnet — the floral scourge of South Georgia; a prickly seed head that disintegrates upon embedding itself into your socks and shoes. The treacherous ladies wooed by the sight of smart football jerseys opted to even up the numbers and join the team from the HMS Clyde. The South Georgia side, a veritable mish-mash of rejected and on-the-run professional footballers, claiming origins in Australia, USA, Ireland, England, Scotland and the Falkland Islands served up a four-goal treat. The navy were sunk, the ladies ruing their rash decision and the rest of us coming to terms with the burnet spines stabbing us through our socks and shoes. FIFA take note, next stop we take on the Antarctic Soccer Series, after that the World Cup. Did I mention I scored the first goal? Of course all deserve a mention for their fine efforts but I did score the first goal. (I categorically deny all allegations that my first touch of the football that day sent it looping down the beach and into the cold waters of the cove as we made our way over to the pitch in Grytviken. I also deny having to strip off my shoes and socks and wade in after the swiftly seaward moving ball. However, icy cold feet could explain why I did not feel the prickling burnet spines until well after the match, a small gain in a world of readily thrown allegations. On the 11th new arrivals to the island included Darren Christie (South Georgia Government Environmental Officer), Brian Summers (Invasive species controller, here to tackle Bittercress), Glynis (Post Mistress) and a team of Morrison’s construction workers to clean up loose ends of the hydro-electric project. At first we eyed Darren suspiciously, believing his arrival was with view to controlling the increasing numbers of pipits (who obviously forewarned were noticeably absent during his stay). The following day Andy Webb, BAS Facilities Manager brought an end to his month-long visit to our base and was dropped up to Bird Island to commence his review of operations there. Soon to join him in waving goodbye were the Falkland Island construction team of Buster, Shane, Lenny, Keith, Kiffa and Rod who had successfully completed the Biosecurity building. They will be sorely missed. Also departing were Barbara Jones, the Assistant Post Mistress and Darren Cox the museum assistant who was generally to be found in the kitchen at parties. Darren Christie was next to go, content with the environmental aspects of all current projects and not having seen any threat of pipits. On the 16th March, all rose early to drop several team members by boat to the Barff Peninsula where they began the long but scenic hike over to St Andrew’s Bay. They would camp there for the next four nights and marvel at the spectacle of some half a million King penguins. The boating team were back in plenty of time to witness the tall ship, Bark Europa pay a visit with her 40-odd passengers. They kindly invited us on board for a good poke around and for a barbecue later that evening that went on well into the night. On the ramble home two leprechauns, presumably scurrying off to parade, were spotted by the Irish contingent near Grytviken. Subsequent, albeit crooked photographic evidence has actually confirmed that these were in fact Chinstrap penguins. Both are reasonably rare sightings around the area. One could be easily forgiven for such confusion. I wasn’t however, and perhaps should have known better. Paddy’s Day was largely overlooked after the government turned down the request to march green painted penguins along the track to Grytviken. The day itself put on the best show, blanketing the area in a thick drizzly mist, and indeed had me thinking of home. Jonathan upped the anti with a Steak and Guinness pie accompanied by a tricolour of broccoli, mashed potato and carrots. The last week was undoubtedly one of the most event-filled. Pharos our Fishery Patrol vessel arrived bringing Matt Jobson (BAS carpenter) to carry out some maintenance along with Harriet Hall (South Georgia Government Executive Officer) and her partner Simon Johnson. The latter two promptly got married on the aft deck of Pharos, with Emma Jones the island’s resident Government Officer carrying out the ceremony. It was all was building up to the end of the month’s visit by the Princess Royal at the invitation of the South Georgia Heritage Trust, of which she is Patron. The HMS Manchester turned up and our boating team worked hard to ferry some 170 passengers ashore for a look about. When the Royal Forces Auxillary ship Black Rover arrived a day later to support the Manchester I knew it was all about keeping the pipits at bay. On Monday, 30th March, Princess Anne and her husband Vice Admiral Laurence came ashore from the cruise ship Grigory Mikheev and toured our base at King Edward Point before visiting Grytviken to open the new Carr Maritime Gallery at the museum. She continued with an inspection of the new damn before officially opening the hydro-electric project. The Princess Royal departed for the Falkland Island on board the Pharos, having been a Patron for this vessel since it’s time as a Northern Lighthouse Board supply ship. That really marked the end of things. Elsa (Museum Curator) joined the Grigory Mikheev as did Chris (Museum Assistant) and they sailed the next day. As we skimmed stones out into the cove and watched their zodiac disappear into the mist we suddenly realised that this was the changing of the seasons and the end of innocence and that what are you talking about, it was actually clear and crisp and we were going for record skims, sometimes even afraid that we might hit the retreating zodiac. And with that they were gone. Ah March, goodbye good luck and auf wiedersehen until next time as I join the rest of the team rooting around in cupboards and shelf units counting bits and bobs in the base-wide indent so we can order all essentials in time for November delivery. PS Ireland Grand Slam Champions!!! *After taking legal advice I must advise the reader that many reported events are slightly fictitious in nature and real events of a similar nature may have taken place at the same time and in the same place. The word is coincidental.